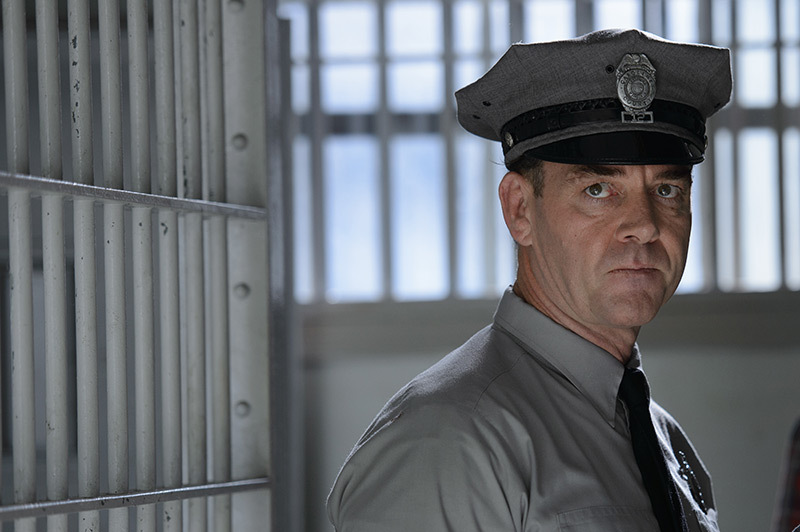 MARTON CSOKAS (Sheriff Brooks) has an established career in both film and theatre. His notable features have included Paul Greengrass’ The Bourne Supremacy, opposite Matt Damon; David Mackenzie’s Asylum, with Natasha Richardson and Ian McKellen; Antoine Fuqua’s The Equalizer, opposite Denzel Washington; Peter Jackson’s The Lord of The Rings: The Fellowship of the Ring and Best Picture Academy Award winner The Lord of the Rings: The Return of the King; and, also for Focus Features release, John Madden’s hit thriller The Debt, alongside Jessica Chastain and Sam Worthington. Mr. Csokas’ (pronounced “choh-kahsh”) performance in Richard Roxburgh’s Romulus, My Father, with Eric Bana and Franka Potente, earned him the Australian Film Institute (AFI) Award and the Film Critics Circle of Australia Award. His performance in Tony Krawitz’s Dead Europe brought him Australian Film Critics Association and AFI Award nominations. His other film work includes playing Alice’s father in Tim Burton’s blockbuster Alice in Wonderland; Christine Jeffs’ Rain; Darren Aronofsky’s Noah; Marc Webb’s The Amazing Spider-Man 2; Ridley Scott’s Kingdom of Heaven; Julie Bertucelli’s The Tree, with Charlotte Gainsbourg; Yann Samuell’s L’âge de raison (Age of Reason), with Sophie Marceau; Timur Bekmambetov’s Abraham Lincoln: Vampire Hunter; Shirley Barrett’s South Solitary, with Miranda Otto; Jim Sheridan’s Dream House, with Daniel Craig, Rachel Weisz, and Naomi Watts; Frank Miller and Robert Rodriguez’s Sin City: A Dame To Kill For; Jordan Roberts’ upcoming Burn Your Maps, with Vera Farmiga and Jacob Tremblay; Eric Howell’s soon-to-be-released Voice from the Stone, with Emilia Clarke; and Alexandros Avranas’ just-wrapped True Crimes, with Ms. Gainsbourg and Jim Carrey. Onstage, he played Orsino opposite Rebecca Hall in Sir Peter Hall’s staging of Twelfth Night at the National Theatre in London; starred in Who’s Afraid of Virginia Woolf?, at the Belvoir St. Theatre, which garnered Mr. Csokas a Sydney Theatre Awards nomination for Best Actor in 2007; starred in Arcadia, Julius Caesar, and Angels in America, all with the Auckland Theatre Co.; starred in Antony and Cleopatra, for Theatre for a New Audience, in NYC; and starred in the award-winning staging of Lillian Hellman’s The Little Foxes, at New York Theatre Workshop. His television credits include a lead role on the AMC series Into the Badlands, which returns for Season 2 in 2017.